Our dental team is focused on restorative care for the whole family. We offer a wide range of procedures and treatment options for all your needs. We also focus on preventative care to make sure your teeth and smile stay strong in between visits to the dentist. No drills, no shots, no pain! 123 Dentist in Kerrisdale offers partial and full dentures for patients who need an affordable solution to badly damaged teeth. Modern dentures and partial dentures are comfortable, functional and easy to maintain. Replace existing silver-mercury fillings with white composite fillings that are tough and match your teeth. For new fillings, composite fillings are covered by many insurance plans and are our recommended option for fillings. VELscope is a British Columbia created technology that helps dentists conduct comprehensive Cancer screenings and save lives. 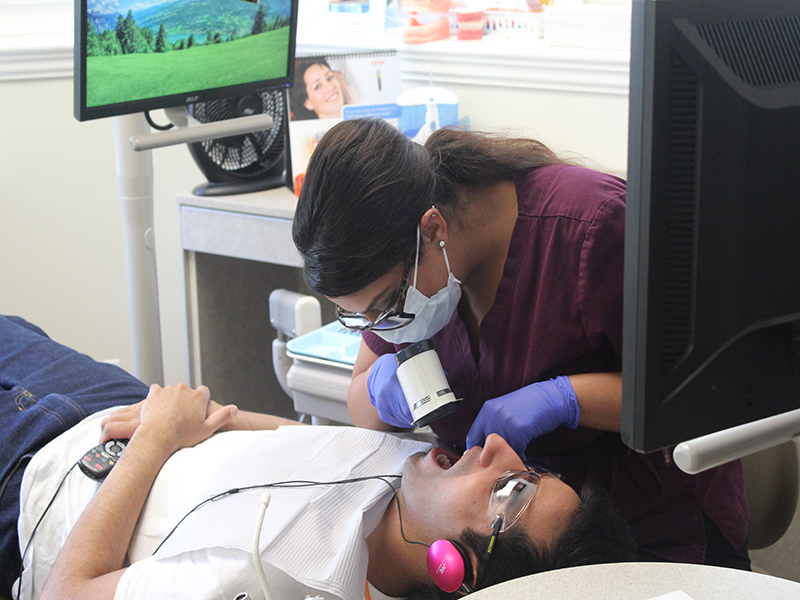 Oral Cancer is on the rise and 123 Dentist in Kerrisdale believes in annual cancer screenings for all our patients. Early detection is the best defense and in some cases the only defense for oral cancer. VELscope exams are quick, painless and involve a harmless blue laser to highlight lumps and bumps on the gums, cheeks or under the tongue. Digital x-rays are a modern improvement to traditional x-rays. They are safer, use less radiation and are more environmentally friendly. 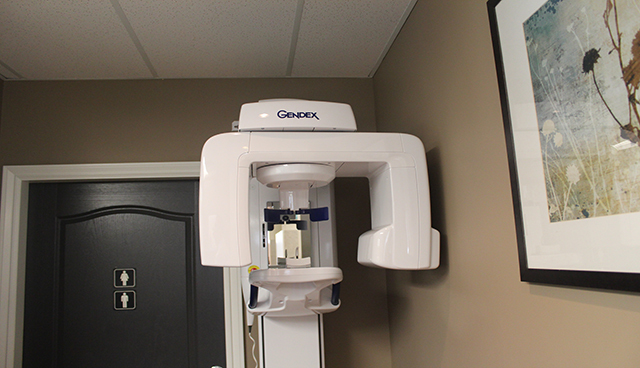 Digital x-rays allow for instant viewing and improved detailing on colour HD monitors and they allow our dentists to assess and plan treatment in less time. We can also refer patient files and digital x-rays to any dentist in the 123 Dentist network. Talk to us about oral and IV sedation options for select procedures. With today’s advancements in restorative dentistry sedation is less necessary even for the most nervous patients, but we do offer sedation for dental surgery and anxious patients. Your smile is important to you, that much is clear, but did you know a great smile is linked to a more productive, happy and fulfilling life? Our ability to smile is linked to how others perceive us day-to-day, from co-workers and significant others to family and friends. Everyone else notices how much you smile before you do, and even if you have a million reasons to smile, sometimes it’s difficult to overcome insecurities and concerns about your teeth. Cosmetic Dentistry can improve your smile, and help you become more confident, more relaxed and more sociable. 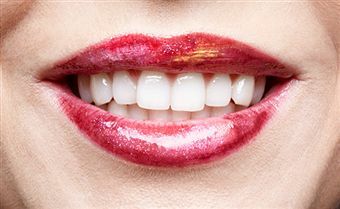 Whiten your teeth with bleach and a hot laser in just one visit to eliminate stains from your teeth. The perfect solution before a job interview or special occasion. Fill gaps and adjust the colour of your teeth to correct blemishes and minor damage to your teeth, for minimal cost. Cover your damaged teeth with Porcelain or Gold caps that protect them and improve sensitivity to temperature. Notice what a change filling in the spaces with these no preparation veneers can make to a smile. Protect your teeth with perfect, custom shaped porcelain or composite veneers, covering your teeth at the front of your mouth while providing the perfect smile. Used in conjunction with Dental Bonding to reshape and adjust your teeth in just one visit to the dentist. It’s more affordable than orthodontics and simple too! We offer Invisalign treatment, the clear alternative to traditional braces, so you can undergo straightening and fix spacing issues without your friends, co-workers or family noticing. Talk to us today or book online now and get started with the perfect smile you deserve! 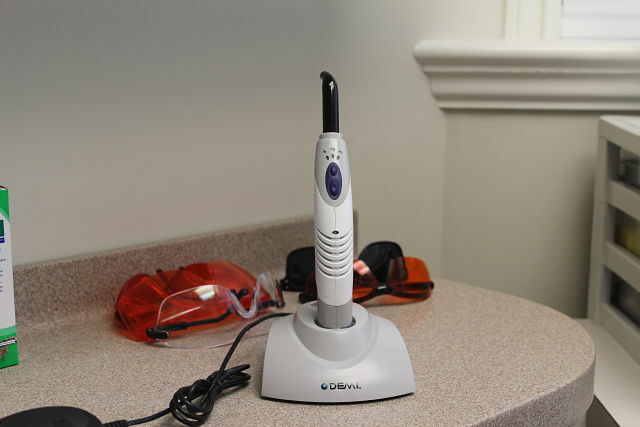 We’re proud to offer Digital Smile Design through our latest scanning technologies. Ask us for more details.